It’s not every day that you have the opportunity to spend time with a legend. 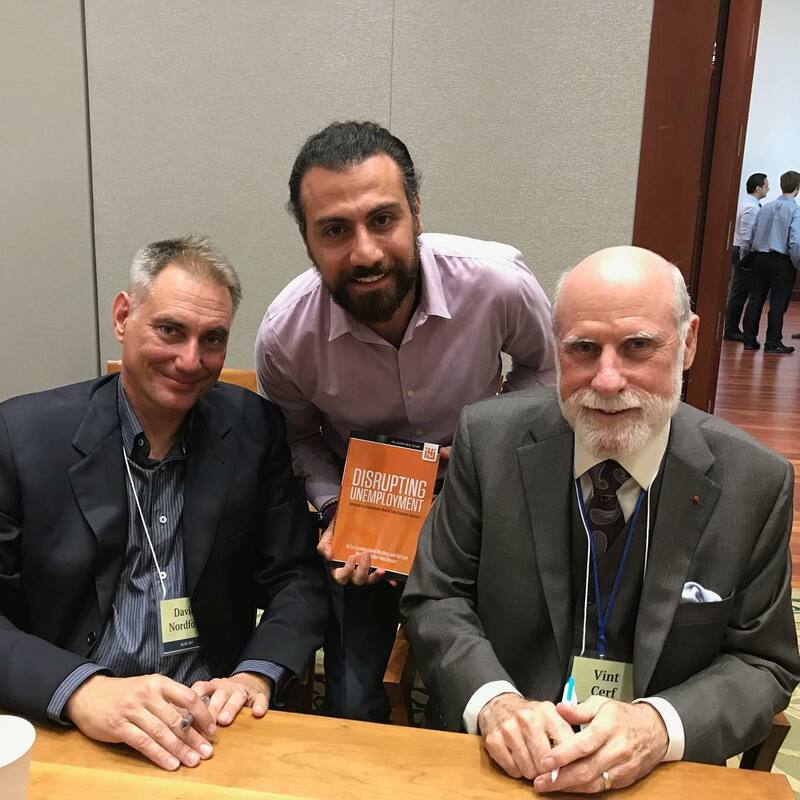 Vint Cerf “the father of the internet”. It was a pleasure being part of “The New American Dream” convention. Over 50 people meeting and discussing innovation for jobs and technology. The innovation economy where people work with the people they like for the benefit of the people they do not know providing for the people they love! Previous Previous post: Eva Longoria Event for Women’s Day! Copyright © Digital RevampAll rights reserved.